Writer's block—sometimes it feels like less of a block and more of an insurmountable wall. Inspiration can seem to be a million miles away, with no hope of being reached. Thanks to the scores of online creative writing apps we can access today, it doesn't have to be that way anymore. This is especially good news for students taking on ambitious writing projects in the classroom. Why Use Online Creative Writing Apps? Sometimes it’s hard to get into the writing spirit and this is no less true with students. There are often many reasons why any budding scribe in your class just can’t seem to produce anything. More often than not, it comes down to inspiration. So what if you could change that? What are some ways to get ideas flowing and to make writing fun, all while using online tools that ignite passion and inspire learning? We’ve sourced 7 great online creative writing apps that will get your students engaged and sharing ideas. These are easy-to-use platforms for checking readability, generating ideas, sharing words with images, and more. Check them out below and see which ones you’d like to introduce your students to. 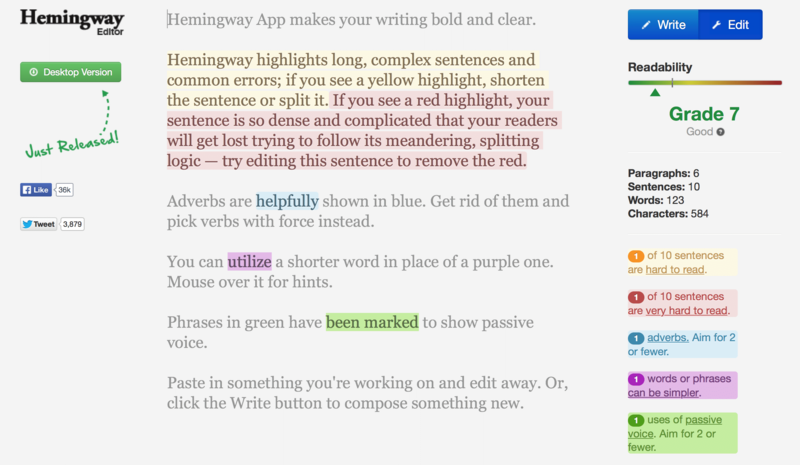 Hemingway is an app you can use to check your writing’s readability. You simply copy and paste a passage you are working on and Hemingway quickly analyzes it for you. When it comes to online writing tools for simplifying writing, this one lets you do it just like Ernest himself would have done. The Hemingway app lets you know if your sentences are hard to read, and if you can substitute complex words for simpler ones. It also lets you know if you are using adverbs or passive voice too much in your writing. The online version works very well and there is also a desktop version for PC and Mac. 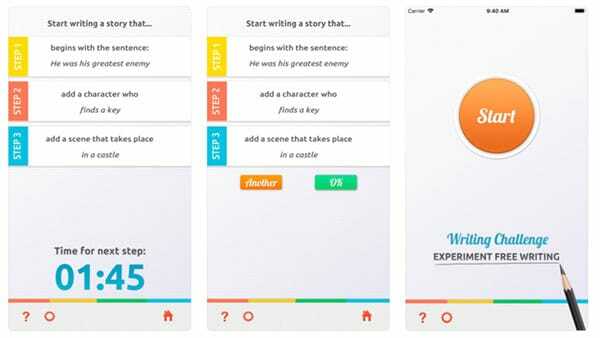 Writing Challenge is a game-based app that's meant to spark creative ideas for writers of all sorts. After pressing Start the app gives you your very first prompt. Next, it will feed you additional prompts at timed intervals. Use these prompts to generate new ideas, build characters and dialogue, and create settings for your story scenes. This is another online app that students don’t have to buy or download. It is a UK-based online tool that features multiple generators for many different kinds of writing projects. Choices include creative writing, letters, and song lyrics. 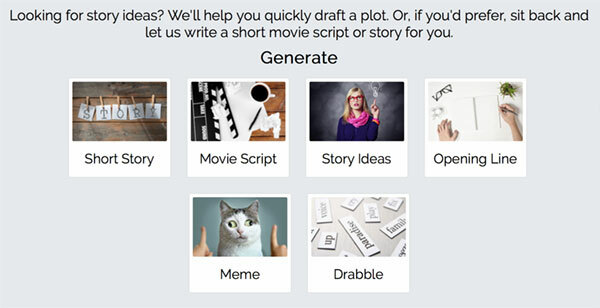 Ideas for practically every genre can be explored and developed using Plot Generator. Once you choose your category, Plot Generator gets rather extensive. It gives you a broad list of different options to choose from for developing your work. For a free online app, this is a very in-depth and useful tool for getting creative ideas flowing and then giving them plenty of substance. The Brainstormer is one unique and beautifully-designed app. It provides online writing tools for randomly generating inspirations for writing and art projects of all sorts. Your learners will have some fun with this one. There is also a Flash-based Brainstormer Wheel that you can use for quick idea generation. Brainstormer is packed to the brim with features. Among the many, you can choose between slot and wheel modes for lists of endless combinations. 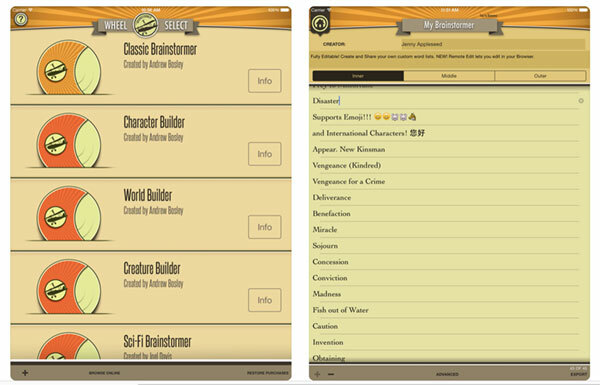 Use the World Builder and Character Builder wheels to create richly-developed scenes and players for your projects. You can even use Brainstormer in edit mode and create your own wheels of inspiration. This is distraction-free writing at its best. 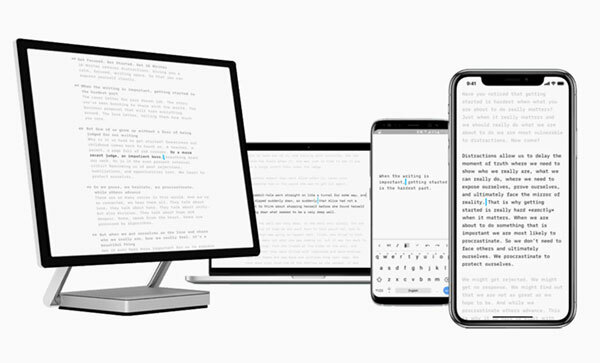 iA Writer Pro is a clean design for clean and professional writing styles. The app has a Syntax Control feature that will scan writing in multiple languages. It displays your adjectives, nouns, adverbs, verbs, prepositions, or conjunctions for easy editing. The workflow it provides is simple and intuitive so you can focus on doing what you do best—just writing. 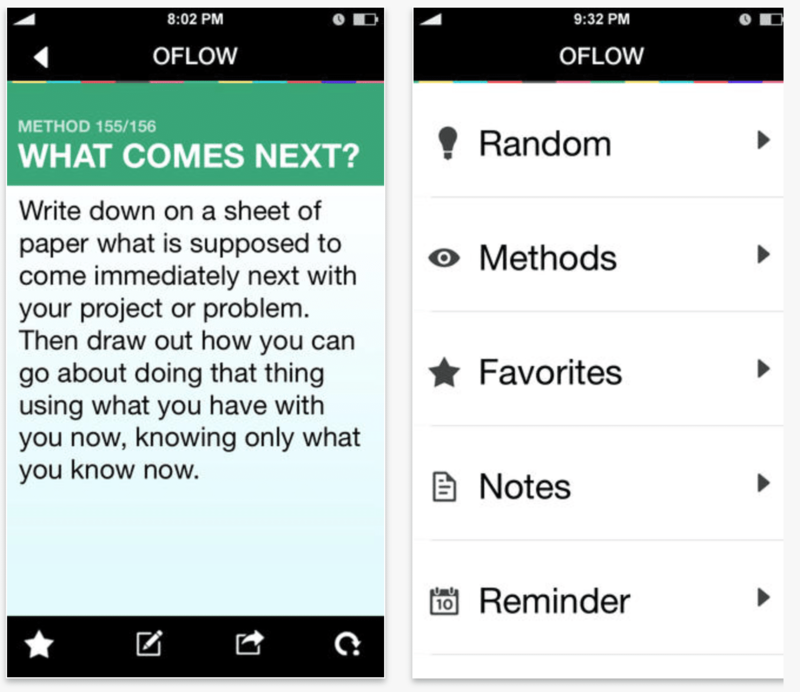 Oflow is one of the many apps out there designed to help you get unstuck and move forward with your best ideas. It uses over 150 different creative prompts and tips to get your mind working. Organized well and designed simply, it's an indispensable app for on-the-spot inspiration. With Oflow, you can set daily creativity reminders, keep notes, and bookmark your favourite ideas. You can even share ideas with colleagues and friends by email, Twitter, and Facebook. Oflow is also compatible with Evernote. Steller is an app that allows you to create short artful image-based books for sharing online. 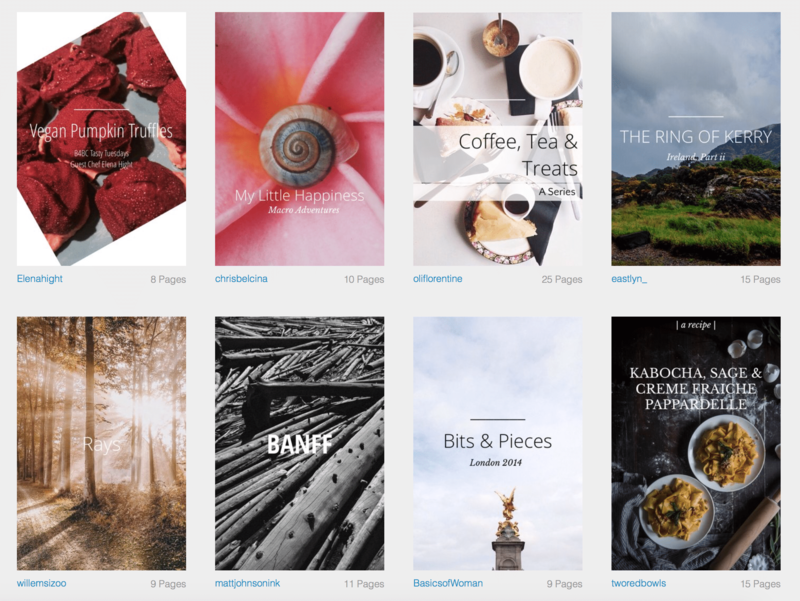 Part ebook creator and part social media, Steller is quite special in its creative format. Create poetry books and share recipes, highlight your trips around the world, or just share random thoughts. No matter what you have to say, Steller is a beautiful way to express yourself.